Western Australian wildflowers are well known throughout the world. The Stirling Ranges and Porongurup National Park are two of the best places to see wildflowers in Western Australia. Home to 1,500 species of plants, including 123 species of orchids, many will be in flower at the time of this tour. 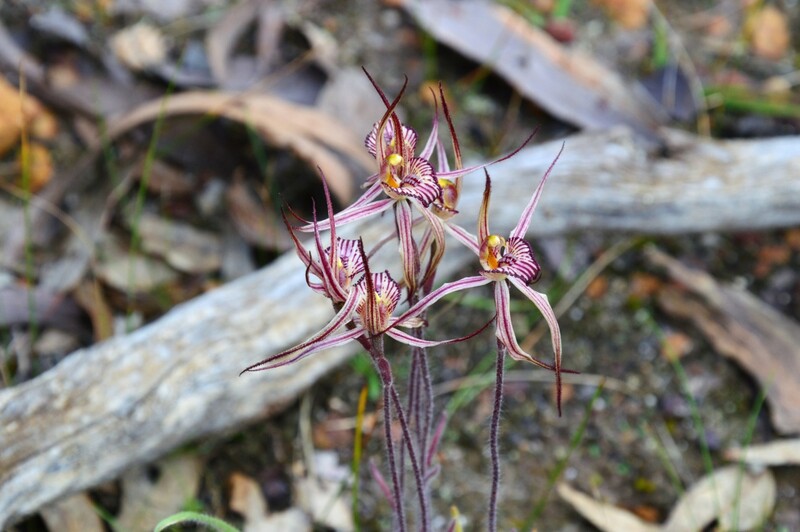 We’ll spend an afternoon with a WA wildflowers expert who will help us discover some unique and interesting orchids of the Stirling Ranges. After that you’ll be spotting orchids everywhere. That’s if you can take your eyes off the beautiful mountain scenery! Some of the walks are challenging but the reward is worth it – spectacular vistas and the special euphoria that only comes through achieving something special. This tour is not all go go go however. We take our time to really enjoy one of Western Australia’s most beautiful landscapes. The itinerary has been designed with a combination of mountain and flat ground walks. Your visit to the Stirling Ranges will be complemented by our very special accommodation at Kendenup Lodge. Have a revitalising hot shower in your ensuite bathroom, get the fire roaring in the lounge and enjoy a glass of wine with your fellow guests. Your guides will soon have a delicious, healthy dinner for you to enjoy as we toast another wonderful day in the Stirling Ranges. Incredible views and fresh air. 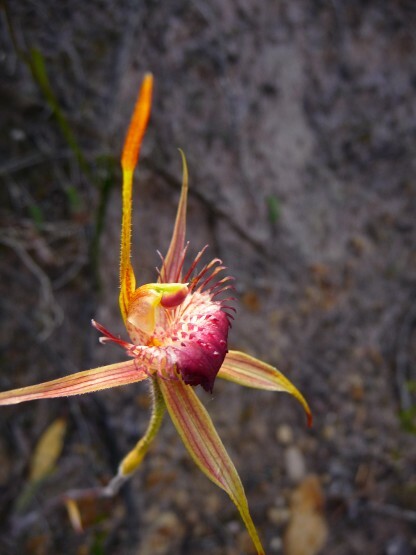 The wildflower tour will open your eyes to beautiful and interesting orchids you would never see on your own. Walk to the top of Bluff Knoll – the south west’s tallest peak – and amongst the beautiful karri trees of the Porongurup National Park. Enjoy the challenge of mountain walking! Two guides will accompany you each day for the walks. Each evening we return to the same accommodation where you can relax and your guides will prepare your dinner. The itinerary may change depending on local weather and conditions. Departing from Wellington Street in Perth at 7:30am, we head south, stopping for delicious home made morning tea and lunch en route. By mid afternoon we’ll a world a way, making our way up Mt Hassell in the heart of the Stirling Ranges. At 847m above sea level, Mt Hassell is mid size mountain and perfect for our first taste of this magnificent area. The walk will take about 2-3 hours return and have you feeling literally on top of the world. 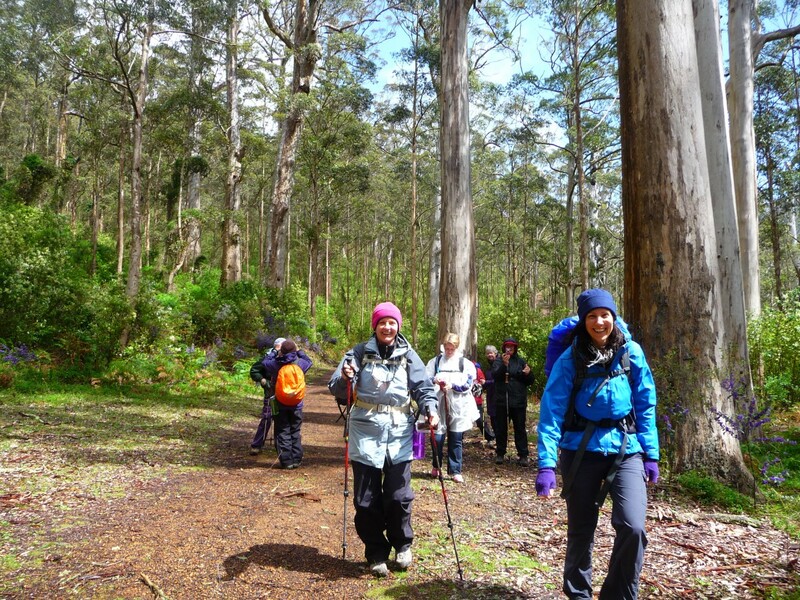 From Mt Hassell, we will continue on to the accommodation at Kendenup lodge. Today we head up Mt Trio. Offering exceptional views, excellent wildflowers and interesting crags, it’s a perfect start to our adventures in the Stirling Ranges. It is 856 m high and will take us about 3 hours. The walk commences with a steep climb that leads to a broad saddle between two peaks. From the saddle it’s an easy stroll to the north peak where you can enjoy sweeping views of Mt Toolbrunup and mountains to the south-west. It is a moderately challenging walk. 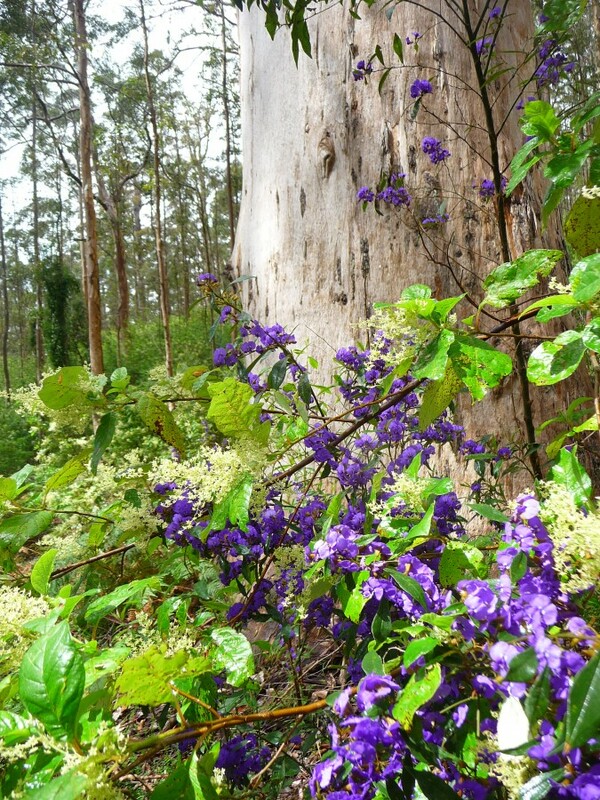 After lunch we’ll join a local guide with an excellent knowledge of Stirling Range wildflowers. 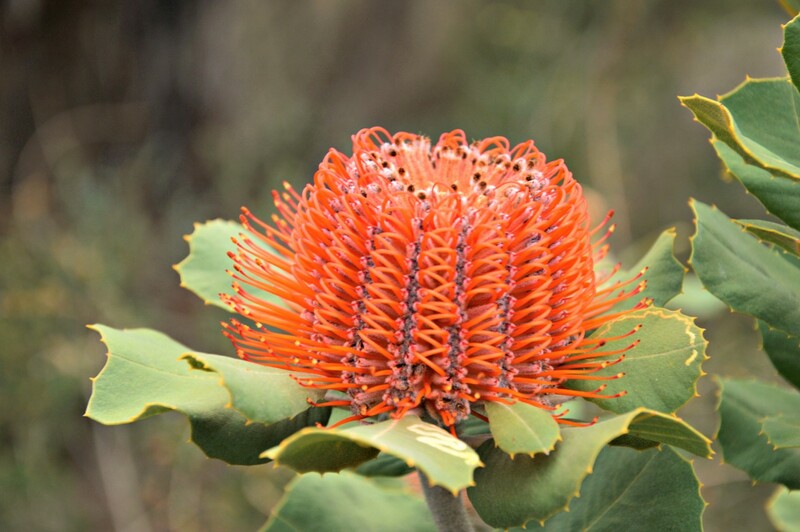 Our guide will take us on a gentle drive and walk around the area and introduce us to some of the special plants of the Stirling Ranges. We head an hour down the road to the Porongurup National Park to walk through magnificent karri trees and the most ancient mountain range in the world. 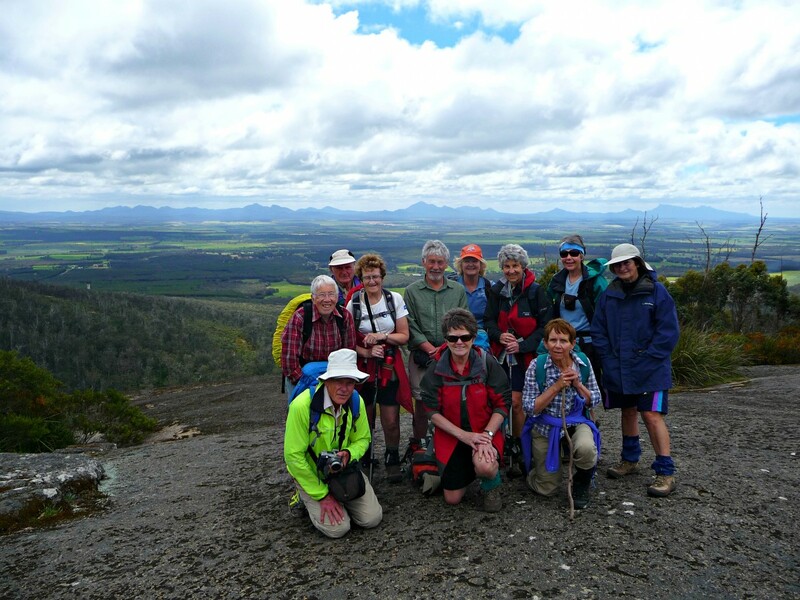 We have two walks for you today – Castle Rock and Nancy’s Peak Circuit. The Castle Rock walk is 3 km return, taking about 1.5 to 2 hours, with a summit 570 metres high. If you’re feeling adventurous, you can climb up to the ‘Granite Skywalk’ – an impressive suspended walkway around the huge granite outcrop at the Castle Rock summit. 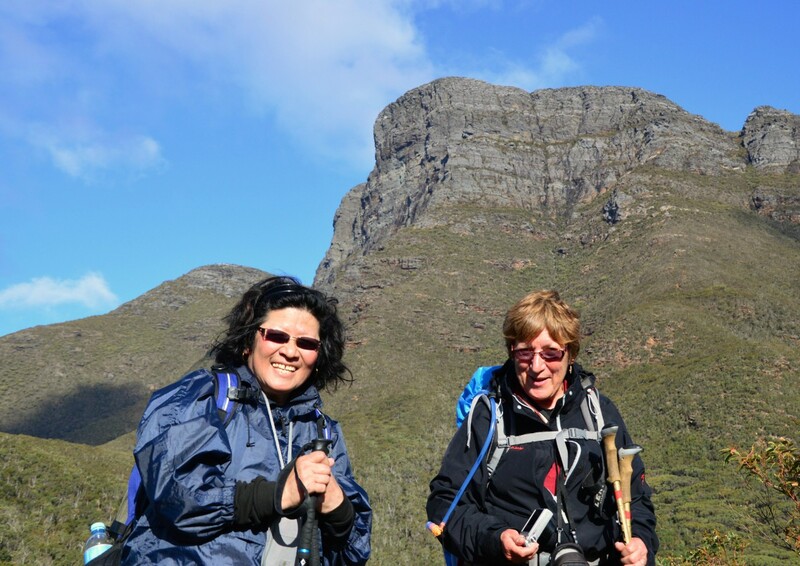 Nancy’s Peak Circuit is a 5 km walk, with its highest peak at 652 metres. It should take us about three hours. On a clear day, you can get wonderful views north to the Stirling Ranges and south to the ocean. On a not-so-clear day, the massive granite outcrops and beautiful white karri trees of Nancy’s Peak Circuit are a highlight in their own right. 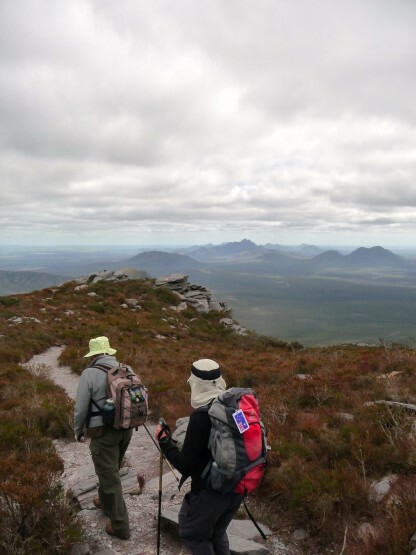 With muscles primed, today we will take to the highest peak in the South West – Bluff Knoll. This challenging walk is an absolute must for anyone visiting the Stirling Ranges. The 6 km return trip will see us reach a height of 1073 metres, with some of the best views in Western Australia the whole way up. We’ll pack a lunch and make a day of it, returning to our accommodation in the afternoon for a well earned rest and a nice hot cuppa. A wonderful way to finish our amazing journey. 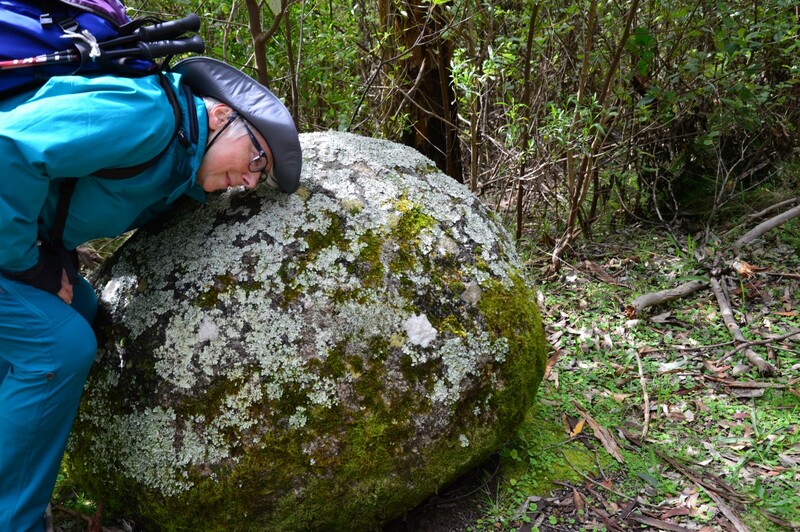 We will explore some of the flat ground areas in the Western Stirling Ranges, searching for orchids and wildflowers. We’ll head back to Perth, having lunch on the way, with lots of great memories, photos and even a few new muscles! We will arrive in Perth at about 5.30 pm. Kendenup Lodge, to the west of the Stirling Range, will be our base for four nights. Kendenup’s rooms are beautifully appointed and all have ensuite bathrooms, which is a bit of a treat! We will share breakfasts and dinners in the communal dining/lounge room where there is a nice wood fire to keep us warm on those chilly Stirlings nights. Towels and linen are provided at Kendenup so all you have to bring are your personal effects. We will send you a complete list of suggested clothing and equipment when you book. At Inspiration Outdoors we provide an excellent standard of catering. All meals are included in the tour. Breakfast comprises cereals, fruit, yogurt and toast; with juice, a variety of teas and fresh brewed coffee. Fresh, tasty and healthy lunches are served by your guides as picnics on most days. On the Bluff Knoll day you’ll pack a lunch from a selection of salads, meats, cheese, spreads and bread, which your guides will prepare and lay out for you in the morning. Each evening your guides will prepare some nibbles which you can enjoy while dinner is being prepared. Dinner is a delicious and nutritious two course home-prepared meal. Each day your guide will carry tea, coffee and a home-made cake for morning tea. Fruit is also available for you to take with you. If you need additional snacks e.g. muesli bars, chocolate etc please bring those with you. We also encourage you to bring your own alcohol. There is limited opportunity to purchase extra alcohol and supplies during the week. We use a well serviced and maintained air-conditioned minibus to drive from Perth to the Stirling Ranges and back, and to and from the walks each day. As the transport from Perth is provided at no additional charge, discounts cannot be offered if walkers choose to find their own way down south. Stylish, roomy and comfortable ensuite rooms to sleep in, a large lounge area to share meals and conversation. This is a moderate to challenging tour. Bluff Knoll is a challenging walk however we try to strike a good balance between activity and rest. The good thing about the walks in the Stirling’s is that they are mostly up and back. This means that if you are feeling like you don’t want to continue to the top/end, you can just sit down, admire the view and wait for the rest of the party to return. We will help you get to the top, but equally if you are feeling like a rest, it is your holiday and you can do as you please. Kendenup is a 4.5 star. The rooms are fabulous with all of the mod cons. All linen and towels are provided and each room has a en suite bathroom. There are two beds in each room â€“ a double and a single. I loved the five days in the Stirlings and the Porongurups. While those ‘up bits’ could be challenging it was well worth the climb, with amazing views, a good workout, good company and home made cake! More good food, a glass of wine, and comfort, relaxation and celebration at the end of each day. Emily and Adam had everything covered, from the smallest detail to the big picture. Thoroughly enjoyable! 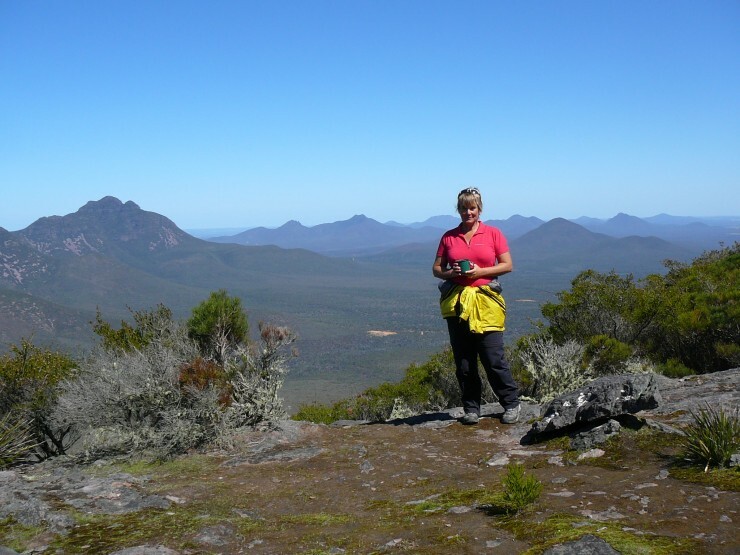 Great 5 days; with contrasted walking in Stirling Ranges & Porongurups. Abundance of wildflowers – complimented with great knowledge of the area. Full days with travelling between walking locations . Simon & Adrian were very informative, attentive and relaxed. Great accommodation at Kendenup excellent food & wine. Highly recommended.